Tonight’s movie at the CALS Ron Robinson Theater is The Post. It is part of their movies of a Movement: The Civil Rights & Social Change Collection! 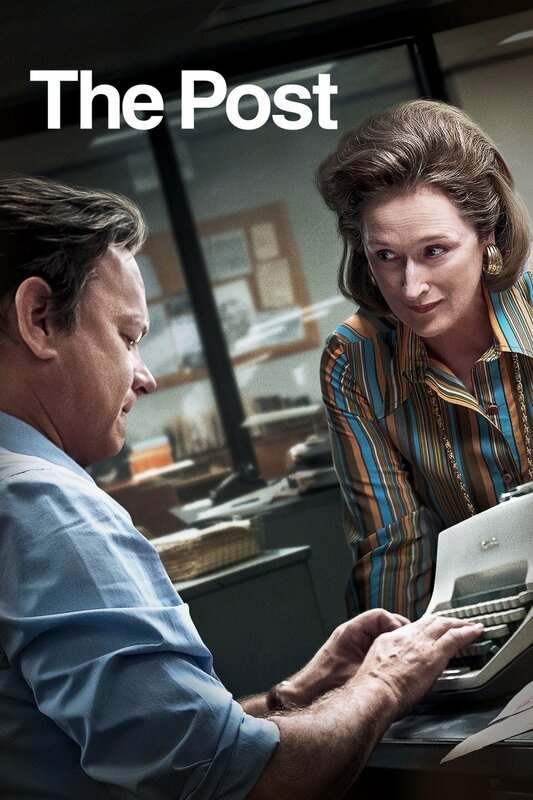 Steven Spielberg directs Meryl Streep and Tom Hanks in The Post, a thrilling drama about the unlikely partnership between The Washington Post’s Katharine Graham (Streep), the first female publisher of a major American newspaper, and editor Ben Bradlee (Hanks). The pair race to catch up with The New York Times to expose a massive cover-up of government secrets that spanned three decades and four U.S. Presidents. The two must overcome their differences as they risk their careers – and their very freedom – to help bring long-buried truths to light. The screening starts at 7pm. Admission is $5. On March 13, 1968, future Oscar winner John Houseman visited the Arkansas Arts Center in Little Rock. Mr. Houseman was here to audition actors for his new acting conservatory at Lincoln Center. Though media accounts did not identify it at the time, this became the new Drama Division of Julliard, which he led until 1976. He had been aware of Dugald MacArthur’s acting program as part of the Arkansas Arts Center School of Art and Drama. When he learned that it would be closing in May 1968, Mr. Houseman decided to come to Little Rock to audition actors to be part of his initial 20 member class. Five actors from the Arkansas Arts Center were chosen to be part of that original class. Mr. Houseman would again be connected with Arkansas. His Oscar came for THE PAPER CHASE which was directed by University of Central Arkansas alum and Arkansas native, James Bridges. The two had known each other when Bridges worked at Houseman’s UCLA theatre. Bridges recruited Houseman to make the film, his first screen work in decades. As part of its “Movies Meant for the Big Screen” series, tonight (March 12) the CALS Ron Robinson Theater will be showing the 2003 film Pirates of the Caribbean: The Curse of the Black Pearl. Inspired by the amusement park ride at several Disney properties this movie stars Johnny Depp (channeling his best Keith Richards), Orlando Bloom, Keira Knightley and Geoffrey Rush. Also on hand are Jonathan Pryce, Jack Davenport, Lee Arenberg, Mackenzie Crook and Zoe Saldana. 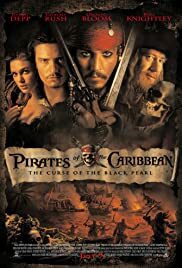 Blacksmith Will Turner (Bloom) teams up with eccentric pirate “Captain” Jack Sparrow (Depp) to save his love, the governor’s daughter (Knightley), from Jack’s former pirate allies, who have returned from the dead. The film is directed by Gore Verbinski. It was nominated for five Oscars and spawned three sequels to date. Admission is $5. The screening starts at 7pm. In June 2006, I had the privilege of seeing Matt DeCample at work during a weekend of the 48 Hour Film Project. We were gathered at the Public Theatre space for a brief pep talk before Matt and Drake Mann went to the drawing. It was there that the team would learn its Genre, the character’s name, the prop, and the line of dialogue that had to be included in the film. In their absence, someone had cracked, “I don’t care what genre we get, as long as it isn’t Action. I mean how do you shoot and edit an action film in 48 hours?” So of course when Matt and Drake walked in — the genre was Action. Matt was so clearly in his element. Just a look at him and one could tell that the wheels were turning in his mind. He led the group through brainstorming. I don’t remember who actually came up with the final idea, but I suspect it was Matt. The Action genre was to be played out in an office. A worker had only a few minutes to get a fax sent (remember it was 2006) and had to dodge a number of obstacles along the way in order to get it done. Matt was the screenwriter — and to play one of the distractions, an impatient boyfriend who kept calling the office worker as she was trying to finish her task. Chris Cranford was the director, cinematographer, and editor. Seeing Matt and Chris, two guys who loved films, talk in a kind of short-hand was entertaining. The opening credits stripped across books in a law library in a manner similar to the opening of Hitchcock’s North by Northwest – something that Matt and Chris thought not only would be fun to create but would also add a layer to the movie evoking a Hitchcokian tone. We broke around 1 in the morning. Matt went to work on the script. A few hours later we gathered in a downtown law firm. Matt had about half the script written and the rest outlined. It was enough that Chris could map out the shots and start the filming. As is the case with any film, there are always adjustments that need to be made. Matt was unfazed. When not needed for a scene, he was often set up in an office typing away at the script. Or he was helping the camera crew. Or he was entertaining everyone with a wry observation about something. Throughout the 48 Hours Matt was very much the man with the plan for the project. He did not lead from the front or the top, however, He led from the center of the pack in a collaborative and encouraging manner — because that was Matt. I don’t think he slept any the weekend. He did not intrude on the editing or scoring processes (Buddy Habig created an original score which added immensely to the film), he contributed insight and was a sounding board. And quite frankly, he just reveled in the entire process and the somewhat absurdity of what was being undertaken. He loved every second of it. I cannot remember everyone who was in the film. (I tried to find it on YouTube, but the earliest films from Little Rock were 2007.) 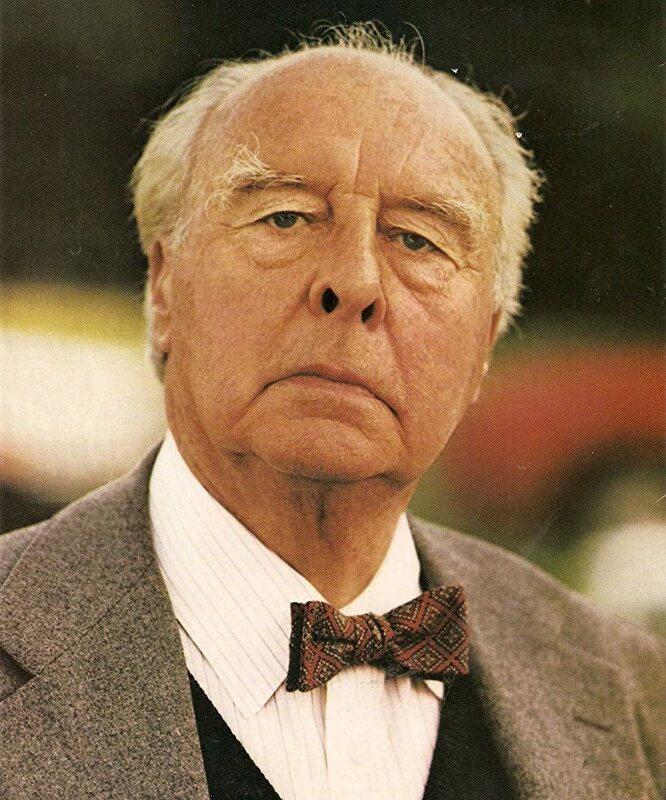 I do remember the late, great Fran Austin played the overbearing boss whose demand set the scenario in motion. Ruth Shepherd played the overeager office manager trying to get everyone to sign a greeting card. She popped up several times as an obstacle. Once she handed the card to me in an uncredited cameo of my right hand. But the person who pops up in my mind the most is Mattie D. I am sure when I find those photos again I will see him in many of them. He seemed to be everywhere. And just like with everything he undertook whether in his professional career or as an avocation – he was always completely Mattie D.
As part of their “Date Night Tuesdays” series, the CALS Ron Robinson Theater is showing the romantic comedy Crazy Rich Asians. 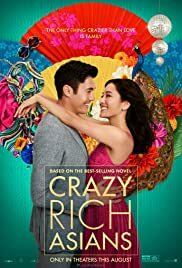 Based on Kevin Kwan’s novel of the same name, the story follows Rachel Chu, an American-born Chinese economics professor, who travels to her boyfriend Nick’s hometown of Singapore for his best friend’s wedding. Before long, his secret is out: Nick is from a family that is impossibly wealthy, he’s perhaps the most eligible bachelor in Asia, and every single woman in his ultra-rarefied social class is incredibly jealous of Rachel and wants to bring her down. The movie, directed by Jon M. Chu, stars Constance Wu, Henry Golding, Michelle Yeoh, Gemma Chan, Lisa Lu, Awkwafina, Harry Shum Jr., Ken Jeong, Sonoya Mizuno and Chris Pang. The film starts at 7:00 pm. Admission is $5. Concessions are available for purchase. The Oscars are tonight. One of the films nominated for Best Picture is BlacKkKlansman by Spike Lee. Though previously nominated for Best Screenplay (Do the Right Thing) and Docmentary (4 Little Girls), this is the first time Lee has been nominated for producing a Best Picture nominee and for Best Director. There are at least three Little Rock connections to the film. First, it opens with vintage news footage of members of the Little Rock Nine being escorted into Central High in September 1957 (even though the film erroneously says August 25, 1957). Second, Adam Driver stars in the film, and has earned a Best Supporting Actor nomination. His father now lives in Little Rock. Driver also participated in the 2017 Arkansas Cinema Society’s “Premiere” event. Following a screening of Star Wars: The Force Awakens, Driver and ACS founder Jeff Nichols took part in a discussion. Third, Little Rock native and Hendrix College alum Ashlie Atkinson appears in the movie. She is also a former intern at Arkansas Times.